Given that Bible translations are back in the news, I've given some thought to a blog post offering some introductory thoughts on translation differences and their importance. 1. We should give deep thanks to God for the translation of the Bible into English. 2. We should give deep thanks to God for those who have labored to translate the Bible into English. We rarely stop to ponder the countless hours that scholars have labored to study the original languages and then worked in committee in order to produce the translations that we have today. We may disagree with their decisions here or there, or disagree across the board with the translation philosophy employed, but we must recognize that these men and women are seeking to glorify God and to serve Bible readers by aiming to reflect the original meaning and to connect with people today. 3. When viewing "translation continuum" charts, it is helpful to be aware of the how the issue is being framed and the philosophies defined. It is instructive to notice what publishers are doing when they seek to present their understanding of how translations differ. If you're ever looking at a chart, you can discern almost instantly which publisher is behind it: their translation is always right in the middle, occupying the "golden mean," "the balanced, mediating position." This is not a criticism, but an observation that helps us see some of the subtle differences in understanding and presentation. On the left-hand side you have "word for word" translations, represented on the extreme side by interlinears. On the right hand side you have "thought for thought" translations, represented by The Message. Right smack in the middle you have the NIV and TNIV, in that order. Note that the NLT is solidly on the "thought for thought" side of the continuum. But Tyndale, the publisher of the NLT, has a somewhat similar continuum. The difference is that the "thought for thought" category has moved to the center (golden mean; balanced, mediating position) and the extreme on the right (still The Message) is now labeled "paraphrase." Another thing to notice is that the labels are apparently being defined differently. For Zondervan, the prototypical "word for word translation" is an interlinear, while for Tyndale it is the NASB. For Zondervan, the archetypal "thought for thought translation" is The Message, whereas Tyndale places the NLT in that category and puts The Message into the "paraphrase" category. We should be cautious in how we use the word "literal." I know many will disagree with me on this, but I think we should have a moratorium on the word "literal." It may have its place, but I think the word is fraught with potential misunderstanding. It is extremely commonplace for a preacher to say that term X is "literally" A. What we are seeking in interpretation is an author's communicative intention in using particular words in particular ways in particular contexts. A good lexicon provides readers with a range of words in the receptor language that correspond with, or denote, the term in the source language. But merely looking up term X in the lexicon and seeing the verbal equivalent A does not mean we should say that "X is literally A." One fruitful way to understand the differences in translation is to identify the degree to which they seek to provide clarification. Translation from one language to another requires a linguistic change: the grammatical form of the source language must be reworked and decoded into the receptor language. The difference in translation philosophy and practice comes about, in part, based upon the degree to which the translators seek to go beyond this linguistic requirement in order to provide further clarification. What is an essentially literal, or transparent, translation? An “essential literal” or “transparent” translation seeks to minimize such clarifications as much as possible. A transparent translation conveys as much as possible of what was said, and how it was said, in as near word-for-word form as the target audience allows, though inevitably with some difference and imperfectly. For serious study, readers need a translation that is more transparent to the "otherness" of Scripture. We need a translation that allows the Bible to say what it says, even if that seems strange and odd to readers at first glance.
. . . As a member of Christ's body and a Bible teacher, I am pleading for a type of translation that is more consistently transparent, so that the original shines through it to the extent permitted by the target language. One example of this approach is seen in the translation of the image in 1 Kings 2:10, where David is said to be sleeping with his fathers (1 Kings 2:10). Alan Jacobs (Professor of English at Wheaton College and a prolific essayist and cultural critic) discussed this in his essay, “A Bible for Everyone” (First Things, December 2003). He explained why it is crucial to know the difference between an idiom and a metaphor. It is a distinction both simple and vital. It is highly unlikely that a Jew of David’s time, or at any time in Israel’s history, would have found a family member’s dead body and run to tell everyone that grandpa was now sleeping with his fathers. Hebrew has words to express quite directly that someone has died; the chronicler of Kings chooses here to eschew them in favor of a particularly hieratic and formal way of describing the death of David. When (in 2 Samuel 1) a man comes from the camp of Israel’s army to report to David, he says simply that Saul (along with his son Jonathan) has died. The deaths of Saul and Jonathan are given no cultural or political meaning, because by the time this history was written the people of Israel no longer identified Saul as having special importance for their national identity. David, by contrast, is for the Israelites their first true King, the head of a proper dynastic line; therefore he does not merely die, he “sleeps with his fathers” in Jerusalem, the “city of David.” The phrase is not an idiom—a common phrase lacking an evident literal meaning—instead, it is a carefully chosen image of David’s place in the culture of Israel. By translating it “sleep with his fathers,” an essential literal or transparent translation recognizes that the form of the original is essential to communicate accurate meaning. Metaphors grab us and work on us and in us. . . . [I]t is the foreignness of metaphors that is their virtue. Metaphors make us stop and think, Now what does that mean? It is not clear to me that replacing metaphors with abstractions makes it easier for readers. . . . Metaphors are multifaceted and function to invoke active thought on the part of the receiver. Receivers must think and feel their way through a metaphor, and it is this very process that gives the metaphor its power to take hold of receivers as they take hold of it. So Which Translation Approach Is Best? I believe that Christian brothers and sister—whether professors, pastors, or people in the pew—can have good faith disagreements regarding translation philosophy. My intention here is not to denigrate other translations, but rather to provide further explanation for the translation approach behind the ESV. I've been mulling over whether or not to do a post or two about translation theory, since translations are back in the news. Whether or not I'll get around to it, I'm not sure, but two of my points would be that much of the issue comes down to (a) the meaning of "meaning" and (2) the relationship between "form" and "meaning." But perhaps I can offer just a thought or two about the word literal. The word is almost unavoidable, but I think we should take pains to use it carefully and rarely. The reason is that it can be used in a number of different ways, and it is quite easy to misunderstand. Consider the question, "Do you take the Bible literally?" Many of us would answer, "Yes," because we take the Bible seriously in accord with its varying genres seeking to determine the author's intent; in other words, we don't treat it as a fictional fable with spiritualized lessons. The questioner probably has in mind things like whether Adam and Eve were historical people, whether Jonah was really swallowed by a whale, whether Jesus really walked on water, etc. They are not asking silly things like, "So if Jesus says he's the door, where are his hinges?" They want to know if we understand the details of history and miracles metaphorically. With regard to translation debates, some people use "literally" to mean translating woodenly. For them, translating "literally" is tantamount to "transcribing" (which is not the same as "translating"). And on the other side of the spectrum, there are well-known pastors who tell their congregations every week that in this passage, the term "X" is "literally, A." In other words, by "literally" they mean lexically. So when someone asks me if I take the Bible literally, or what this passage means literally, or what the literal meaning of this word is, it's quite difficult to answer until we know how they are using the word. Are they asking about seriousness, the cognitive element of a metaphor, the lexical meaning of a word, etc. Let me say just one more thing about the idea of saying about a word that it "literally" means X. What we are seeking in interpretation is an author's communicative intention in using particular words in particular ways in particular contexts. A good lexicon is a helpful too but an artificial construct. It provides readers with a range of words in the receptor language that correspond with, or denote, the term in the source language. But merely looking up term X in the lexicon and seeing the verbal equivalent A does not mean we should say that "X is literally A." It may be that A accurately represents X, but that is not determined by the lexical entry but rather by the context and the way in which the author intends to use the word to communicate his point. We all know the story of the two criminals crucified with Jesus on the cross. The details are relatively sparse. We know that three men were crucified: Jesus the Messiah, with one man on his left, and one man on his right (Luke 23:33). One of the men--on the left or on the right, we don't know--"railed at" (or reviled) Jesus, saying, “Are you not the Christ? Save yourself and us!” (Luke 23:39). Little did he know that the only way for Jesus to "save them" was to refuse to "save himself." But the railing criminal received a surprising response. He was rebuked by his fellow criminal, who responded: “Do you not fear God, since you are under the same sentence of condemnation? And we indeed justly, for we are receiving the due reward of our deeds; but this man has done nothing wrong" (Luke 23:40-41). He recognized the necessity of fearing God, the reality of his guilt, the justice of his punishment, and the innocence of Jesus. These were all the facts he knew. He then turned to Jesus and cried out, "Jesus, remember me when you come into your kingdom." Mark 15:32: "Those who were crucified with him also reviled him." “Each of Vern Poythress’s books has been, in my judgment, the best book on its particular subject, whether science, hermeneutics, dispensationalism, theological method, gender-neutral Bible translation, or the Mosaic law. Not only are these books expertly researched and cogently argued, but they are explicitly Christian in their starting point, method, and conclusion (to use a phrase of Cornelius Van Til). Poythress does not merely claim that these disciplines allow a place for God, or that a theistic worldview provides useful context, or that engagement in such studies is somehow useful to Christians. Rather, he comes right in your face with the claims of Christ: All of these studies are grounded in the nature and work of the triune God, and nothing can be rightly understood apart from him. 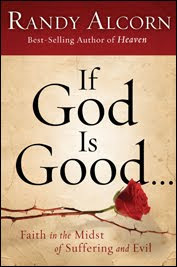 God is not merely a possibility, not merely a conclusion, but the starting point for any understanding at all. If you have BTW on your blogroll, it'd be a help if you would adjust your link accordingly. You'll have to subscribe to the new feed, as this current one will no longer be updated. In my inaugural post at the new site I explain why I'm happy to have BTW associated with TGC. Hope to see you over there! 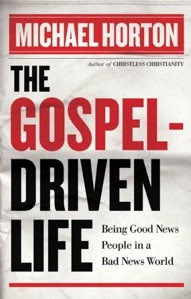 WTS Books is offering Mike Horton's new book, The Gospel-Driven Life: Being Good News People in a Bad News World (Baker), for 45% off. The offer is good for the next week and a half. This book is a sequel to Christless Christianity, moving from "the crisis to solutions, in the hope that we will see a new reformation in the faith, practice, and witness of contemporary Christianity." The goal of this book is to reorient our faith and practice as Christians and churches toward the gospel: that is, the announcement of God's victory over sin and death in his Son, Jesus Christ. The first six chapters explore that breaking news from heaven, while the rest of the book focuses on the kind of community that this gospel generates in our world. It is not merely that there is a gospel and then a community of people who believe it; the gospel creates the kind of community that is even now an imperfect preview of the kingdom's marriage feast that awaits us. You can read some free sample material from the book here. We are not an ancient, agrarian society. Most importantly, our property was not assigned directly by God. Our economy is not based on a fixed piece of land. Our nation is not under the Mosaic covenant. Most of us are not Jews. We should find ways to give opportunities for the poor to succeed. The Bible supports the existence of private property. The Bible relativizes private property. Our God is the God of second chances. You may have read, in this paper or elsewhere, six members of our church recently circulated unsolicited letters and a petition voicing their opposition to my leadership and requesting a congregational meeting to vote on whether to keep me as their pastor. Citing things like my desire not to wear a robe when I preach, not honoring the legacy and preferences of Dr. Kennedy to the degree that I should, making personnel changes (bringing in my staff from New City), and not preaching political sermons, these six members have been working to remove me as pastor. The saddest thing about all of this is that, because of the visibility of both Coral Ridge and my family, this conflict has taken on a national interest. The reason this grieves me so deeply is because the Bible says God wants the church to be a visual model of the gospel. He wants us, in other words, to live our lives together in such a way that we demonstrate the good news of reconciliation before the watching world. The late Francis Schaeffer once noted that bitter divisions among Christians give the world the justification they're looking for to disbelieve the gospel. But when reconciliation, peacemaking, and unity are on display inside the church, that becomes a powerful witness to this fractured world. "Just as I have loved you," Jesus commanded, "you also are to love one another. By this all people will know that you are my disciples, if you have love for one another" (John 13:34-35). To get this matter behind us once and for all, the elders and I have called this congregational meeting and a vote will take place on Sunday. You will no doubt read about the result, but whatever it is, I want to say three things to the South Florida community that I love so much and have called home for 37 years. . . .
You can read the rest here. And please pray for Tullian and for Coral Ridge, especially regarding the vote this Sunday. Al Mohler's latest article reflects on the combination of two disturbing developments: (1) 95% of mothers who discover the high risk of Down syndrome in their babies through prenatal screening choose to have the lives of these babies terminated. (2) New technologies for prenatal diagnosis are on their way. The almost-certain result is that there will be more prenatal testing, and therefore more termination of human life. Dr. Mohler also cites this journal article by Dr. Brian Skotko (an expert in DS), who cites evidences that nearly 1 in 4 doctors either actively "urge" termination or "emphasize" the negative aspects of DS so as to encourage termination.
. . . health care providers have historically operated under the assumption that if a woman consents to prenatal screening or diagnosing, she must believe that having a child with DS would be an undesired outcome and wish to terminate her pregnancy if such a diagnosis were made prenatally. Knowing that assumption is crucial. As Dr. Mohler writes: "Expectant parents should read that sentence over and over again, and so should those who counsel them." 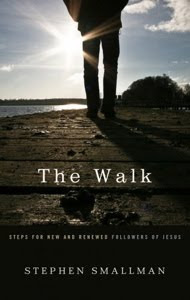 Stephen Smallman has given us a great gift with his new book, The Walk: Steps for New and Renewed Followers of Jesus (P&R, 2009). It’s now the first resource I’d recommend for disciples wanting to make disciples (which should be all of us). Marked by good theology, a focus on the Bible, and a warm and winsome approach, this “discipleship for dummies” manual is just what all of us need. "This is the fruit of a lifetime of experience in ministry. I recommend this warm, practical, gospel-centered and very useful manual on discipleship." "Lots of people have a heart for discipleship, but few have the ability to apply the gospel to a person's spiritual journey (seeker and believer alike) with the compassion and wisdom of Steve Smallman. His heart for God and for people energizes his ministry and this book." "Basic, clear, and biblical throughout. All who read this book will have their knowledge of the gospel deepened, and they will also learn to make better use of the gospel in their pursuit of holiness and ministry to others. May Christ continue to bless his church with books like this!" You can read online for free the preface, table of contents, and first chapter. As I consider the last six months (and especially this upcoming Sunday) and how kind God has been to convince me that everything minus Jesus equals nothing, but Jesus plus nothing equals everything, I am reminded of my grandmother who passed away in June 2007. She knew Christ’s companionship like no one I’ve ever known. She reveled in the wrecking power of the gospel day in and day out. She lived life like she had nothing to lose because she knew that, in Christ, she had nothing to lose! This enabled her to live with great freedom, fearlessness, and unbounded courage. For many, many years I have begged God to make me like her– to give me a sharp mind, a soft heart, and a steel spine like he gave her. I can only hope and pray that as God continues to strip me of everything but Him, I would become more like her. There’s an important difference between unevangelized and unreached peoples. Unevangelized people are unconverted individuals in places where there are established churches. Unreached peoples are those that live in regions where there are no churches and no access to the evangelical gospel in their culture. And to answer your question about the present trend; 96% of the missionary work force is still laboring in unevangelized, but not truly unreached regions. Here it is again – 9 out of 10 Christian missionaries that go cross-cultural are still going to reached places! Here’s still another way to say it – Something like 90% of all “ministers” worldwide are concentrating on only 2% of the world’s population! We are massively overly evangelizing places where the gospel is already well planted! I believe that we need a substantial strategic redeployment of the missionary workforce to the areas where there is still no access to the evangelical gospel. The “Big Book” fallacy is the notion that anything that is said in a big book, especially a multivolume series of big books, must be, at a minimum, factually correct, and at a maximum, correct in its judgment. This is fallacious, because error is error, regardless of its domicile. Peer-reviewed error may be less common than non-peer-reviewed error, but it still exists. No editor checks the factual accuracy of every sentence he edits, and therefore, even in big books, multi-volume big books, and/or multi-volume big books with good reputations, error still exists, and we should not repeat the error without either citing the source or checking the source. See the two examples he cites--the first from Kittel's TDNT, the second from Keil's commentary on Joel 2:28. Slate has a nifty tool to create a plot for the next Dan Brown conspiracy-thriller-novel. Just plug in a city and a sect, and their computer will do the rest! When relationships are built around the truths of the gospel—the truth that we are walking in light even though we are still sinners in need of cleansing by his blood—we can be free from feelings of inferiority and the demanding spirit that is born of pride. We can pursue relationships without fear of being discovered as the sinners we are. This kind of open relationship rests solely on the realities of the gospel. We are more sinful and flawed than we ever dared believe, and so is everyone we know. Because of this, we won’t be surprised by other’s sins. They won’t expect us to be sinless either, so we don’t have to give in to self-condemnation and fear when they see us as we really are. We don’t have to hide or pretend anymore. I highly recommend this album. This album is a means of preaching the gospel to yourself. It is a tool to remind yourself of God’s adopting grace. It will help convince you of God’s passionate and personal love for you. Listening to the truths of these songs will help clear away any suspicions you have of God, and help you to contemplate his love for you, evidenced nowhere more clearly than in the death of his beloved Son. An excellent post by Voddie Baucham, contrasting two recent Basketball Hall of Fame induction speeches: the arrogant and self-serving speech of Michael Jordan, and the humble, grateful speech of David Robinson. Here's an attractive, easy way to view Crossway's academic catalog for next year. It's a book about the importance of knowing Jesus Christ and building your life on a true knowledge of him. I care very much about its message and want to do all I can to spread it to people who are indifferent or unconcerned about Christian theology. I'd like to create a series of short videos that can be played online to generate interest in the book. But I have another desire that informs what I'm announcing today: I want to encourage Christians to get involved in the arts--in particular, film. At different times and different ways I've done what I could to encourage young filmmakers to hone their gifts and use film to influence the world for Christ. So I'm combining my need for promotional videos with my desire to make an investment in Christian filmmakers. And I'm doing this in the form of a contest. Somehow just meeting Warren reinforced in my mind the challenge we face as we reconcile ourselves to a fast-paced, digital world in which a person can quickly dash off a missive that can severely impact another person on the other side of the continent. It seems that ethics and morality have been a bit slow to catch up to ability in this new digital world. As I read those three reviews I realized that in each case there would be things I might say just a little differently. I am too often prone to forget that the authors whose books I review are real people and I am too quick to ignore my conscience when I consider whether the things I write and post online for all the world to read are things I would also say face-to-face. I hope this will help me in the future as I seek to be fair and godly in all that I write. Those doing textual criticism in the NT will be interested in this blog post by Dan Wallace about a new web-based application that can save a significant amount of time. Registration for the DG conference (Sept. 25-27) on Calvin is still open. In addition to the talks on Calvin, there will be a couple of additional events. On Friday evening, Sept. 25, they will preview the 80-minute documentary, Collision, which traces the debates and conversations of Douglas Wilson and Christopher Hitchens. The movie, which I've seen, is very much worth your time. You can pre-order the DVD from Amazon, and watch the first 13 minutes at the end of this post. COLLISION - 13 min VIMEO Exclusive Sneak Peek from Collision Movie on Vimeo.